After another short break, I’m back with a vengeance! In fact, we’re crashing out tonight. Our video for this week is the trailer for R.G. Springsteen‘s prison melodrama Revolt in the Big House (1958). Timothy can be seen doing his thing as Ed “Bugsy” Kyle (aka “The Chest”), smooching his machine gun and blowing stuff up. This trailer has the Something Weird Video stamp on the lower right corner, but it’s no longer a part of their catalog. It was recently released on DVD by Warner Bros. – get your copy today! This entry was posted in Film, Video and tagged r.g. 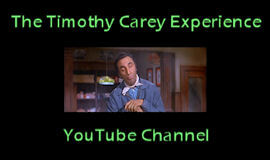 springsteen, revolt in the big house, something weird video, timothy carey, warner brothers. Bookmark the permalink.